An Arab newspaper revealed, what will happen in the next parliament session in the absence of agreement on the largest bloc to form a government, while indicated that he was ousted Ali Allawi from the list of candidates for prime minister. The new Arab newspaper quoted a political source as saying that "the failure of the political blocs to agree on a specific name to fill the post of prime minister within a week, meaning the return of inflammatory statements about who is the largest bloc," noting that "the President of Parliament will go in the next session to suffice with the election of the President of the Republic Consider the session open pending the address of the Federal Court to decide who is the largest bloc in parliament, and this will need some time. " "There is a mood and personality for many things," the source said, speaking on condition of anonymity. 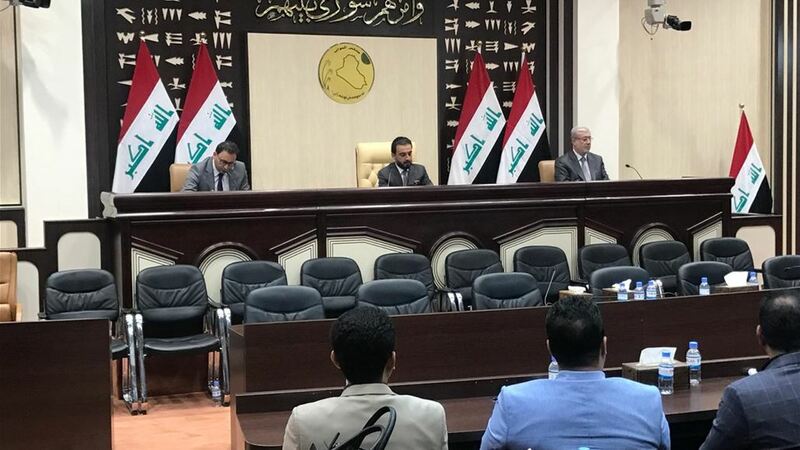 "The intervention of one of the ambassadors of the countries of injustice, the maximum name of Ali Abdul Amir Allawi of the list of candidates for the premiership, despite the welcome of several political forces to be considered an economic personality and experience and no problems with any political party in Iraq ." The parliament speaker Mohamed Halboussi , on September 16 present the first parliament session to the day of 25 September, while he pointed out that the session will witness the election of the President, which has the choice will cost the largest bloc to form a government within 15 days.